The Telugu version of Bigg Boss became the number one reality show in its market all thanks to the drama packed episodes. The show was won by Siva Balaji who defeated fifteen other contestants to lift the winners’ trophy. 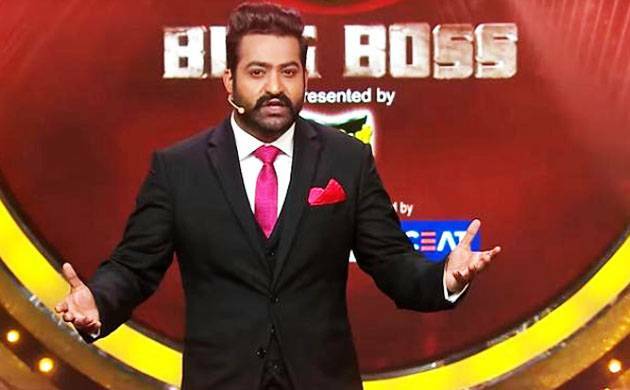 Bigg Boss Telugu hit the television screens and managed to impress the audience during its two and a half months stint. The show marked the small screen debut of Junior NTR who wooed the viewers in the host avatar. Fans were eagerly waiting for the second season of the show which is expected to air in July just like the first season. However, it seems this time Junior NTR won’t be hosting the show. According to a report in Deccan Chronicle, the ‘Temper’ actor has opted out of the show and will not return back as a host. The Jai Lava Kusa star will be busy with two upcoming films and hence won’t be able to devote time for the show. A source told Deccan Chronicle, ‘’ The actor is committed to two films — one with Trivikram and the other with Rajamouli. Both start one after another without a gap. He also has a few family commitments, so he has no time to do the reality show, and hence opted out,” says a source. We wonder who fill in the shoes of Junior NTR and became the new host of Bigg Boss Telugu.